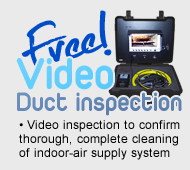 It's Time To Clean Your Ducts! Do you spend most of your spare time at home? 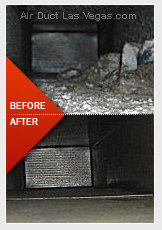 If you do and most people are, you have to start thinking about cleaning your air ducts. Most of the air you breath comes from your ventilation system and this system must be cleaned periodically to keep the air you inhale clean. This matter can not be overlooked as breathing in dust particles and other debris that tend to accumulate in your ducts is hazardous to your health. Residential Cleaning - Healthy indoor air is not something to be taken for granted, especially if your household includes asthma or allergy sufferers, or someone with respiratory sensitivities. Thorough residential cleaning is of the utmost importance, an unkempt HVAC systems can trigger respiratory distress. 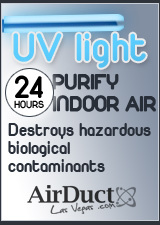 We at Air Duct Cleaning Las Vegas specializes in health cleaning. Over time, air ducts inevitably accumulate an unsavory collection of pollutants, such as hair, insect carcasses, dirt and dust. Rodent infestation can also leave behind unpleasant reminders, such as droppings and dander. In addition, neglected ducts can become home to bacterial infiltration. When you consider the fact that the air you breathe, in your home and business travels through the HVAC ducts before it gets to you, it becomes clear that air duct cleaning is a must. Commercial Cleaning - Are your employees less productive because they're suffering from headaches or general malaise? Are they missing work hours due to increased incident of respiratory illness? Contaminated indoor air due to dirty duct work may be the culprit. Get back on track today. Call us - Air Duct Cleaning Las Vegas for a commercial cleaning quote. While on the topic of duct cleaning, the necessity of dryer vent cleaning cannot be ignored - clogged vents can lead to inefficient drying which, in turn, will lead to higher power bills. Recommendations for frequency of cleaning range from six months to three years, depending on use and the type of dryer and vent blows. 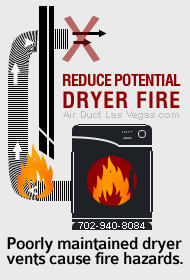 But don't take our word for it, fire departments and insurance companies across the nation recommend routine dryer vent cleaning. Protect your lungs. 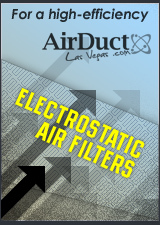 Call on Air Duct Las Vegas today at 702-940-8084 for a free estimate. And if that's not enough to help you breathe easier, our 100% satisfaction guarantee should.